Steve hails from Burke, Va. He received his bachelor’s degree in Systems Management from the United States Military Academy in 2009. After graduation, Steve commissioned into the United States Army as a Field Artillery officer. As a lieutenant he served as a platoon leader with the 4th Infantry Division and deployed to Afghanistan in support of Operation Enduring Freedom. As a Captain, Steve served in the 25th Infantry Division as a Battery Commander and Battalion Fire Support Officer before being assigned across the world to serve as an Observer, Coach, Trainer at the Joint Multinational Readiness Center in Hohenfels, Germany. 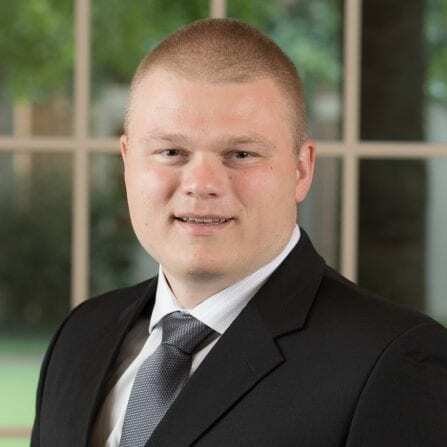 Steve was selected by the Army as a 2019 Major General James Wright Fellow and is currently attending the College of William & Mary pursuing his MBA. Following graduation next summer, he will continue to serve in the Army while assigned to Headquarters, U.S. Army Training and Doctrine Command.